I heard about this amazing place from my mate Kev who travels to Melbourne a lot on business, and when I was last in Melbourne, I just had to spend some time there. I was not disappointed. 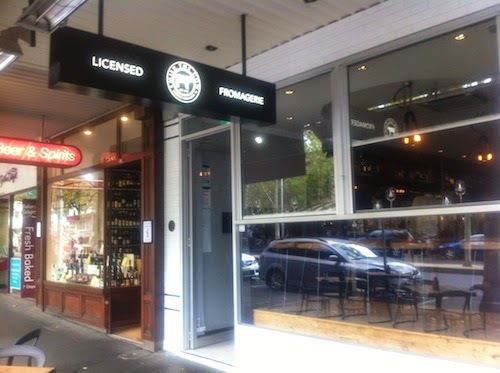 Milk the Cow is a unique proposition in the Melbourne hospitality scene – a licensed fromagerie with two locations: on Fitzroy Street in St Kilda (kinda across the road from the St Kilda Sports Club) and Lygon Street in Carlton (across the road from the iconic Nova Cinema). Yes, you can buy cheese to take away from a mind-boggling array of Australian and international delights (anything from an entire wheel to a small slice of heaven), but because it is a licensed venue, you can also sit there and order a bottle of wine from their extensive wine list, or beer or spirits if you’re that way inclined. 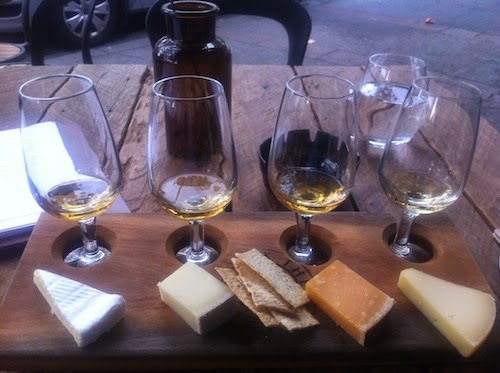 But the most compelling offering by far is their selection of tasting flights: 4 varieties of cheese paired with 4 varities of liquor. You can choose from a red wine flight, a white wine flight, a sparking wine flight, a whisky flight, a beer flight, and even a sake flight! 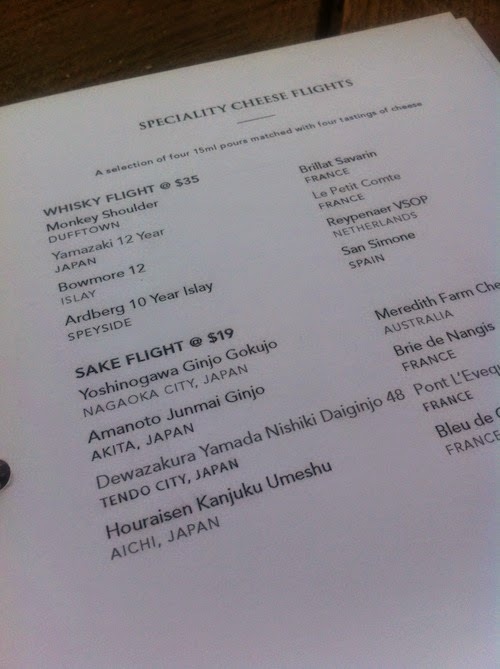 Each with a different selection of cheeses that complements the particular beverages selected. Both venues also boast alfresco seating on the sidewalk, which is cigar-friendly. 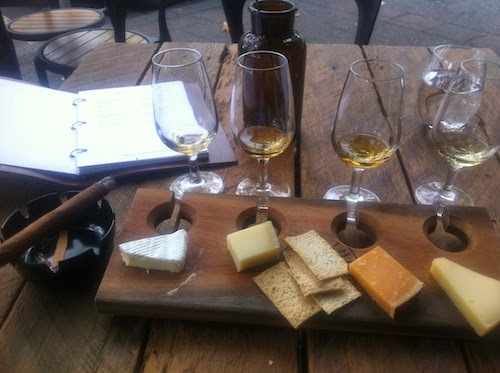 In fact, they have a small selection of cigars available on their menu although your own cigars are welcome. In my case, I enjoyed a beautifully aged 1998 Le Hoyo du Roi from Wal Baranow's private collection (from iconic Melbourne cigar lounge Baranows, which has sadly closed because Wal has decided to move to Cuba - tough life indeed!). If you happen to be squeamish about smoking, that is also fine: both venues have plenty of comfortable indoor seating as well. While I was sitting on the sidewalk enjoying the various delights on my table, a couple of people walked past and started chatting to me - they too had come in search of this wonderful place! If you like cheese, make sure you set aside an hour or two to savour the delights of Milk the Cow next time you have a chance to visit St Kilda or Carlton! Food business is the low cost ye most profitable business. If you are a good cook you can even start it from your home. Wow. It looks like that the milk of cow is delicious and I am sure that it would be affordable also to buy. However, there are only a few points that are offering the same.